RecycleMoreSC is a statewide campaign that promotes the economic and environmental benefits of recycling. It’s also a call to action challenging residents, businesses, organizations and local governments to do their part to recycle more. 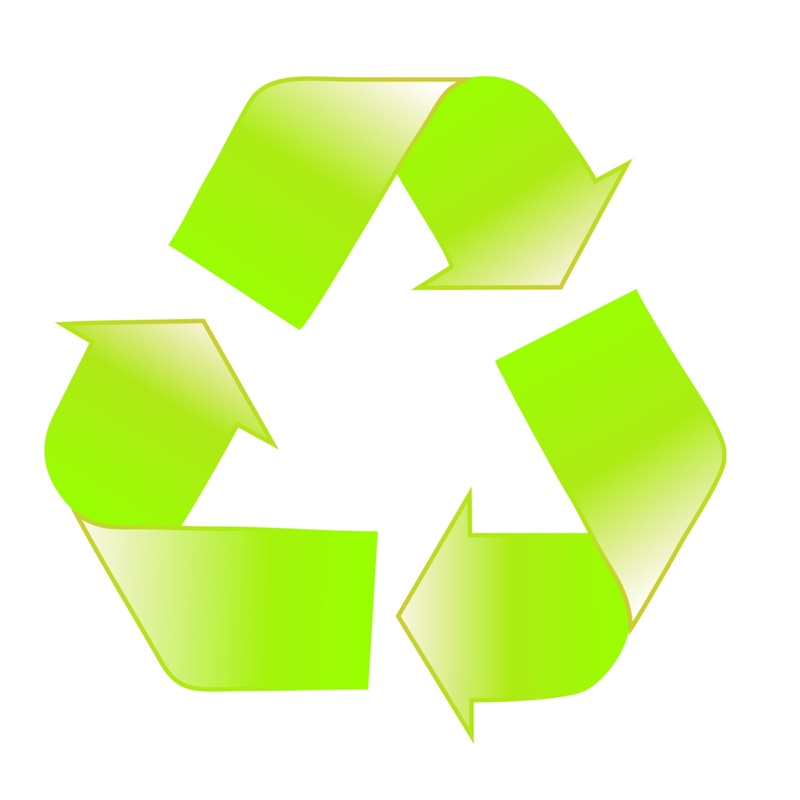 The campaign’s goal is to reach a 40 percent recycling rate by the year 2020. Recycling is a good practice not only for the environment but also for the present and future economic climate of the state. A study released by the College of Charleston shows that recycling has a $13 million impact on the state’s economy. In addition, more than 50,000 direct and indirect jobs are associated with the recycling industry. To reach the “40 by 2020” goal, it will take South Carolinians (like me and you) to recycle and to recycle correctly. The process has changed a lot, especially since curbside recycling began some 28 years ago. Even if you’ve been recycling forever, there are some things you need to know. Take a moment to review these three important links before you recycle again. If you’re rushed for time, perhaps the most important link to review is Recycling’s Dirty Dozen. Thanks for doing your part to help South Carolina’s economy and the environment through recycling. Do you recycle? Why or why not? Does RecycleMoreSC motivate you to recycle and/or recycle more? Between Thanksgiving and New Year’s Day Americans throw away 25% more trash than any other time of year. The extra waste amounts to 25 million tons of garbage, or about 1 million extra tons per week. So, to help trim the trash while trimming the tree, here is a checklist of simple things you can do to reduce waste while you eat, drink and make merry this holiday season. From Thanksgiving through New Year’s we like nothing more than to eat, drink and be merry, so we need successful strategies to cut down on the waste we create from our amplified entertaining. Turn down the heat before the guests arrive. You’ll save energy while the extra body heat of your guests will warm up the room. Walk to neighborhood parties, or carpool with friends if it’s too far to walk. After the party, don’t throw away the leftovers! Put them in plastic containers or bags and send them home with guests, or donate to food banks. During the nation’s busiest shopping season, bring your own shopping bags. 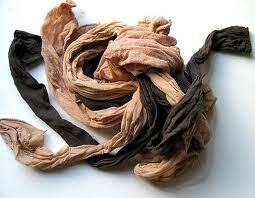 Paper, plastic and cloth are all good; the latter two can be folded easily into purses and pockets until used. Consolidate your purchases into one bag rather than getting a new bag at each store on your shopping rounds. Instead of using wrapping paper, place your gifts in reusable bags. Your present will be two gifts in one: the actual gift and the bag, which the recipient can reuse. Plan your shopping in advance. Consolidating your shopping trips saves fuel (and aggravation), and you’ll avoid that last minute frenzy when you won’t have time to make careful gift choices. Rather than piling up “stuff” under the tree, think about what friends and family really want or need. Try giving gift certificates if you don’t know what someone wants, or simply make a donation in his or her name to a favorite charity. Give gifts that encourage others to use less stuff, like a book about making crafts from reusable items, a cookbook for leftovers or reusable tote bags. Or simply set a good example by giving homemade food or something you’ve made yourself from reused items. For kids, start a savings account or give stocks or bonds. It’s fun to watch money grow and it teaches children the value of financial conservation. Shop for gifts at antique stores, estate sales or flea markets, since one person’s trash is another’s treasure. Donate unwanted gifts, along with last year’s gifts that the kids have outgrown, to charity. When buying electronic toys and other portable items that are used regularly, remember to buy rechargeable batteries to go with them. Instead of wrapping gifts for the kids, hide the presents, plant clues to where they’re hidden and turn the kids’ search into a treasure hunt. Get the kids to make their own tree ornaments out of things you already have around the house or from materials they might find in the backyard: twigs, bark, flowers and herbs, pine cones, etc. Old clothes and jewelry make a great dress-up box for kids. Tools and gadgets make a great idea box for a young inventor. Send e-greetings to family, friends and business associates who are online. Did you know…the 2.65 billion Christmas cards sold each year in the U.S. could fill a football field 10 stories high? If we each sent one card less, we’d save 50,000 cubic yards of paper. Save yourself time, money and hard feelings between friends – and reduce mail volume – by updating and paring down your holiday mailing list. Be creative. Instead of buying placemats or table decorations, make your own. Cut old cards into shapes and press between two pieces of clear contact paper. When buying gifts you will send by mail, pick items that are easy to ship and won’t require excess packaging. Reuse packing cartons and shipping materials such as peanuts, wood shavings, shredded newspaper and bubble wrap. Drop off extra packing peanuts at local private mailing centers. Or better yet, think of gifts that don’t have to be wrapped at all: tickets to concerts, museums, or sporting events, gift certificates, house plants, or even gifts of your own time. When giving oversized gifts like bicycles or CD racks, instead of wrapping them in paper, just tie a bow around them. Wrap gifts in old maps, newspapers, Sunday comics or fancy holiday gift bags. Kids’ art work is a perfect wrapping for presents to proud grandparents. Use brown paper grocery bags to wrap small-to-medium size boxes that have to be mailed. Make the wrap a part of the gift: Putting cookies in a flower pot or hiding jewelry in a new pair of gloves will keep your gift under wraps and the “wrapping” out of the trash. Which of these changes can you commit to making this holiday season? Can you think of other ways to reduce your waste this holiday season? When it comes to implementing sustainable solutions for the workplace, it can be a jungle out there. 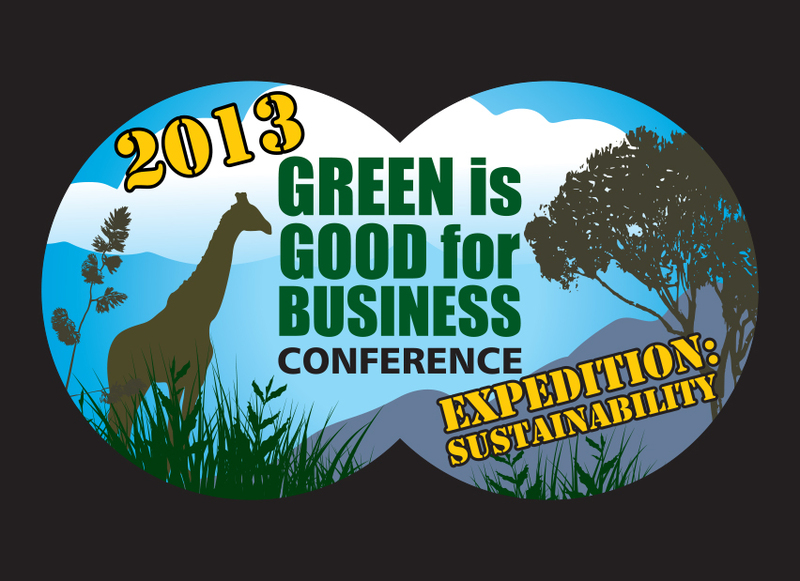 But it doesn’t have to be if you let the 2013 Green is Good for Business Conference be your guide. This year’s conference is designed to cut the clutter and get you down to the business of going green. Two Columbia-based speakers with national acclaim will keynote this year’s SC Green is Good for Business Conference on September 10 at the Columbia Metropolitan Convention Center. Dr. Andrew Spicer, associate professor of international business in the Moore School of Business at the University of South Carolina, will open the morning with Sustainability Strategies from Wal-Mart. In 2005 Wal-Mart made history when then-CEO Lee Scott announced a bold sustainability strategy that would impact every aspect of its business. Along the way, business researchers from the University of South Carolina and the University of Arkansas were given unprecedented access to study the process. Spicer will share his case study of the retailer and offer insights on going green in business. WLTX-TV Chief Meteorologist Jim Gandy will conclude the morning’s keynote with The Business of Climate Change. Gandy, a professional meteorologist with 37 years of experience, continues to study weather and is interested in climate change which he has studied since 2005. Looking for better ways to communicate climate change, he is working with the Center for Climate Change Communication at George Mason University and with Climate Central. The conference also will provide an up-close and personal look at the latest sustainability products, services and technologies at the Green Expo, featuring more than 40 vendors. New to this year’s conference is the Propane Road Show, sponsored by Palmetto State Clean Fuels Coalition, where you’ll see up close and personal alternative fuel vehicles of all shapes and sizes. Conference registration is $50 per person with a $10 per person “Green Team” discount for organizations sending three or more people. Every Woman blog readers can get an extra $10 off by entering using the promotion code LMCEW. Additional details and registration information are available at http://greenbiz13-eorg.eventbrite.com/. The City of Columbia coordinates the SC Green is Good for Business Conference with a host of partners, including Lexington County, Richland County, the Greater Columbia Chamber of Commerce, DHEC’s Office of Solid Waste Reduction and Recycling, and the SC Department of Commerce. This year’s sponsors include Pratt Industries, Sonoco Recycling, and Haynsworth Sinkler Boyd, PA.
Did you know that American families throw out approximately 25 percent of the food and beverages they buy? For a family of four, that adds up to a loss of between $1,365 to $2,275 each year. In addition to being bad for your pocketbook, there are many other negative implications to food waste: it pollutes our air, wastes valuable natural resources, creates public health concerns and costs a lot of money. Shop smart. Plan meals, use grocery lists and don’t shop when you are hungry. This way, you’re less likely to buy things you don’t need and that you’re unlikely to actually eat. Also, check your fridge/freezer/pantry for the things on your list to be sure you aren’t buying duplicates of items that you already have. Practice FIFO or First In, First Out. When unpacking groceries, move older products to the front of the fridge/freezer/pantry and put new products in the back. This way, you’re more likely to use up the older stuff before it expires. Designate one meal each week as a “use it up” meal. Look around in the cupboards and fridge for leftovers and other food that might otherwise get overlooked. Challenge yourself to create a meal using those items; there are actually televisions shows created around such challenges. Store better. If you regularly throw away stale chips/cereal/crackers, store them in airtight containers so they’ll last longer. Compost! Start a compost pile in the backyard or even under the sink, and convert food waste into a useful resource. Split the dish. If eating out, split a dish with a friend so you don’t waste half of the giant portion sizes found at many restaurants. Take home leftovers. If splitting meals isn’t your thing or your dining companion is getting something you don’t like, those portion sizes don’t have to be wasted. Just ask to take leftovers home, and you’ve got yourself a free lunch the next day. Understand expiration dates. Expiration dates don’t always have to do with food safety; rather, they’re usually manufacturers’ suggestions for peak quality. If stored properly, most foods stay fresh several days past the “use-by” date. Serve small amounts. Serve small amounts of food with the understanding that everybody can come back for more once they’ve cleared their plate. This is especially helpful for children, whose “eyes are usually bigger than their stomachs.” Any leftovers can be cooled, stored in the fridge and used another day. Freeze! If you only eat a small amount of bread, freeze it when you get home and take out a few slices a couple of hours before you need them. Likewise, batch cook foods so that you have meals ready for those evenings when you are too tired to cook. 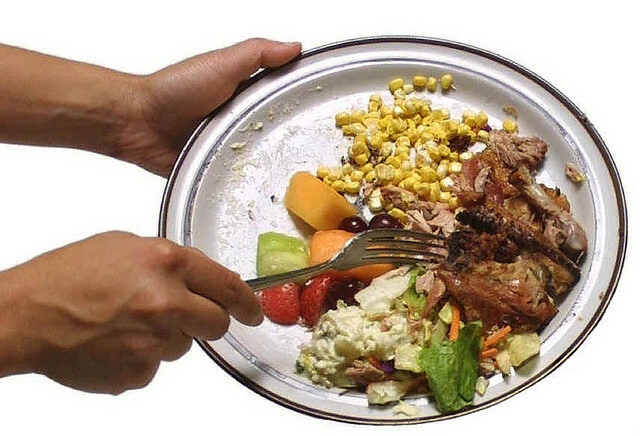 Have you ever thought about the implications of food waste? Which of these tips are you willing to commit to? Do you have other suggestions? I was in the 10th grade. Yes, that would be approximately 1984. I was giving an oral report in Mrs. Sutton’s science class about recycling. I had done a lot of research. I knew what I was talking about. As I gave my report, I looked out over a sea of blank stares and open mouths. No one knew what on Earth I was talking about. Oh sure, we knew about taking your glass bottles back to the store so they could be reused. Remember the deposits you used to have to pay on them? We were starting to hear about being able to recycle aluminum cans. But at that time, the only place my sister and I could locate in Columbia to recycle was way over on Fontaine Road. It was a pretty heavy-duty, industrial type recycling company, but they would take our measly trash bags of cans along with the truckloads of metals that were delivered there. Curbside recycling wasn’t even a suggestion at this point. And, the only thing I knew then about plastics was to avoid them. This was my closing line in my report to my dumbfounded classmates: use cloth diapers so our grandchildren aren’t wading around in a sea of dirty Pampers that won’t break down. Crickets and tumbleweeds. But, I got an A. Even being an amateur, thanks to my research, I did know what I was talking about. Here we are almost 30 years later and thankfully, the concept of recycling and reusing is not only well-known, but has become main stream. My kindergartener was chosen to make the announcement over the loudspeaker for the school’s “No Trash Lunch Week.” The City of Columbia has added cardboard recycling to our curbside program. Now, we need bigger bins. Once upon a time, “plain paper” recycling was hard to come by; now even my church has a blue recycling bin in the vestibule for all the church bulletins after the service. I want to share a website with you. I discovered this site a year or so ago. It’s called Recyclebank. You earn points by watching (very short) videos about ways to recycle, reduce, reuse and generally “green up” your everyday world. Just today, I learned that 90% of the imported cut flowers come from Latin America. That means, rather than employing our own people to grow flowers and ferns in greenhouses, we are buying them from other countries who then have to load them up on planes and fly them around the world. That’s just crazy. I had no idea. I also learned today that Dasani water bottles contain 30% plant-based material. I’m not exactly sure how it works, but I think it’s cool. As you learn these lessons, you accumulate points. What’s that for, you ask? You can then use them to get really good coupons (like $2 off Kashi!) or free offers, or make donations. For instance, for 250 points, you can donate a tree through American Forests. It’s a cool thing, indeed. Click here to check it out.